The figure of King David, who is so well known from the biblical tradition, is a very elusive figure from the archaeological or historical point of view. Even in Jerusalem, David’s capital city, there is no clear archaeological layer that can be related to him. For this reason, various minimalist approaches have been raised, suggesting that the biblical tradition is nothing but myth. Dr. Garfinkel’s excavations at Khirbet Qeiyafa (2007-2013) uncovered for the first time in the archaeology of Israel, a fortified city from the time of King David. His excavations at Khirbet al-Ra’i (since 2015) uncovered another site in Judah from the time of King David. In this lecture, Dr. Garfinkel will discuss the importance of the discovery of these two sites. 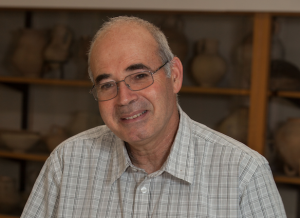 Yosef Garfinkel is Professor of Archaeology (Prehistoric & Biblical Period) at Hebrew University of Jerusalem. To learn more about Yosef Garfinkel, click HERE.